Safe Hands has become a well known safety helmet manufacturers in Bangalore. We are supplier of excellent quality, highly durable and reliable range of head protection products. 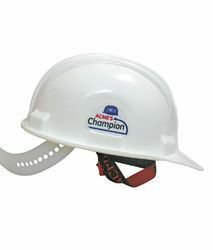 The entire range of head protection products offered by us is made from best quality material as per various industrial standards for ensuring complete safety of head. These helmets are light in weight and also possess various distinguished properties. 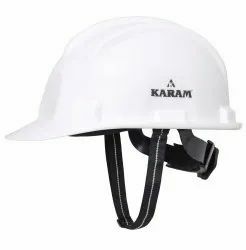 With the aid of our skilled professionals, our firm is involved in offering a broad range of Karam Safety Helmet. These are extensively demanded in construction and mining sites to provide head protection to the wearer. It comes with an adjustable strap and is light in weight. 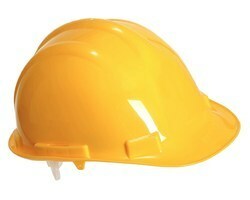 Since the inception of our company, we are engaged in providing an exclusive range of Loader Safety Helmet. Widely used in construction industry and coal mines, the given helmets are provided with space to ensure easy carrying of material. These are designed using premium grade material and offers excellent protection due to their robust design.